. 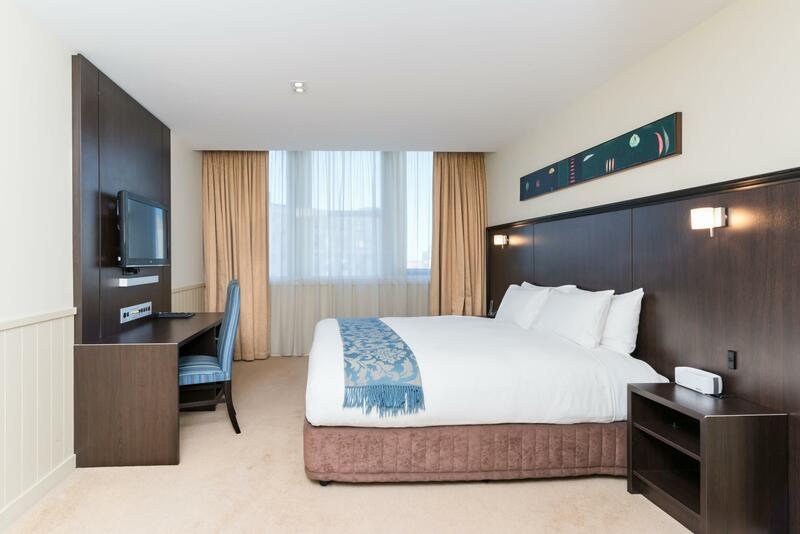 يعرف Scenic Hotel Group بالمستوى الراقي لخدماته ولباقة موظفيه، وهذا ما ستجده في Scenic Hotel Southern Cross. تتضمن الميزات الرئيسية في هذا الفندق: خدمة الغرف على مدار الساعة, واي فاي مجاني في جميع الغرف, كازينو, مكتب الاستقبال على مدار الساعة, مرافق مخصصة لذوي الاحتياجات الخاصة. ادخل إلى واحدة من الغرف 178 وتخلص من عناء نهار طويل بمساعدة مجموعة كبيرة من الخدمات كمثل مناشف, سجاد, غرفة معيشة منفصلة, تلفزيون بشاشة مسطحة, اتصال لاسلكي بالإنترنت الموجودة في بعض الغرف. يقدم الفندق العديد من الفرص للاستجمام كمثل مركز للياقة البدنية, غرفة بخار. إن Scenic Hotel Southern Cross هو خيارك لخدمة الفنادق الراقية في دوندين. Super impressed with front desk staff and concierge, genuinely helpful and friendly. Very comfortable bed. Location was great and a variety of bars/restaurants to dine in if you don't want to leave the hotel. We would definitely stay again. we loved the shampoo and lotion which was for sale. Hotel near Cadbury Chocolate factory. Basin was choked. Friendly and helpful porter as well as counter staff who helped us with the luggages which we put for a few hours when we visited the chocolate factory. Location to town and businesses in town centre was excellent. From check in to check out the staff were helpful and professional. The rooms were comfortable and well presented. Felt like a home away from home. 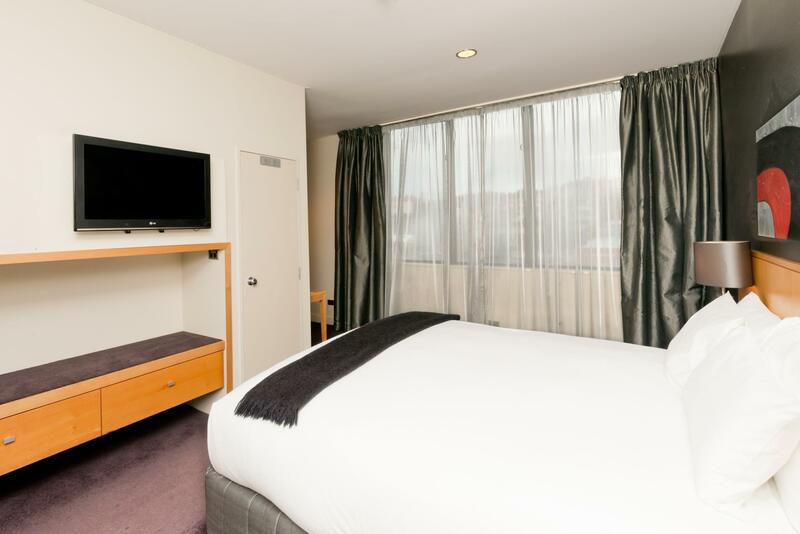 When I would come back to Dunedin I would definitely stay at Scenic Southern Cross again. Room is extremely nice, modernly designed, chic, clean, and comfortable. Love the toiletries provided. Only complaint is the room is too dimly lit but it also puts you in a snug and cosy mood for a good night rest. It's centrally located, and within walking distance to a lot of food places. Wifi connection was good. Parking is chargeable though at $13 a night. Air conditioner/heater was not working so well. It was an average stay for us as the air conditioner/heater was not working initially. Washroom basin was a little choked. However, we loved the Earth Botanics body lotion, shampoo and conditioner as they smelt so good. Wifi was slow and the only good thing about its hotel location was within walking distance to the Cadbury chocolate factory. 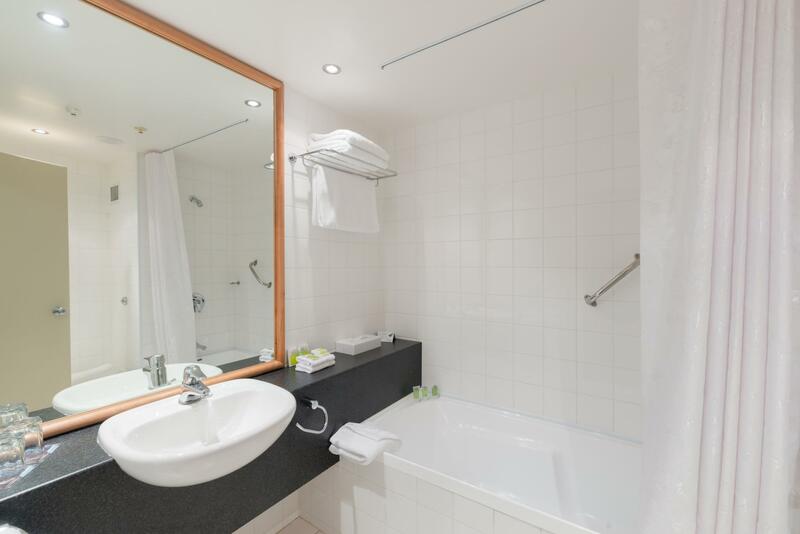 The room with kitchenette had everything we needed, and many attractions were within walking distance. The airport bus (Airbus Express) stops outside the entrance, a big bonus. 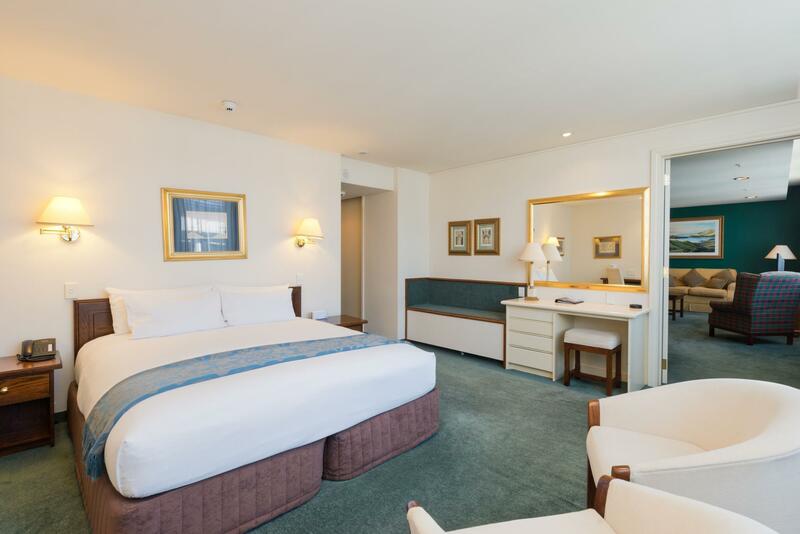 The staff were friendly and attentive, and our room was always promptly service. Lots of restaurants to suit all budgets close by, as are supermarkets, should one wish to eat in the room. The number of TV channels was not extensive and the hotel provides only limited free internet, beyond which there's a charge. Overall, a very good place to stay. this was a last minute booking but the receptionist was very efficient and there were no problems with checking in, however once we got to our room we found we were right next to a very noisy air conditioning unit. my husband returned to reception and asked if we could change the room and we were moved at once. the rooms were well furnished and a reasonable size. it is a 5 minute walk into the town for shops museums and restaurants . Very handy to everything & easy access to the casino. Excellent customer service. Very comfortable bed, nice room though a bit small. TV getting dated. No microwave or sink to clean dishes. Customer service was excellent at reception & very helpful gent to park car & help with bags.Easy access to casino & very handy to all amenities. 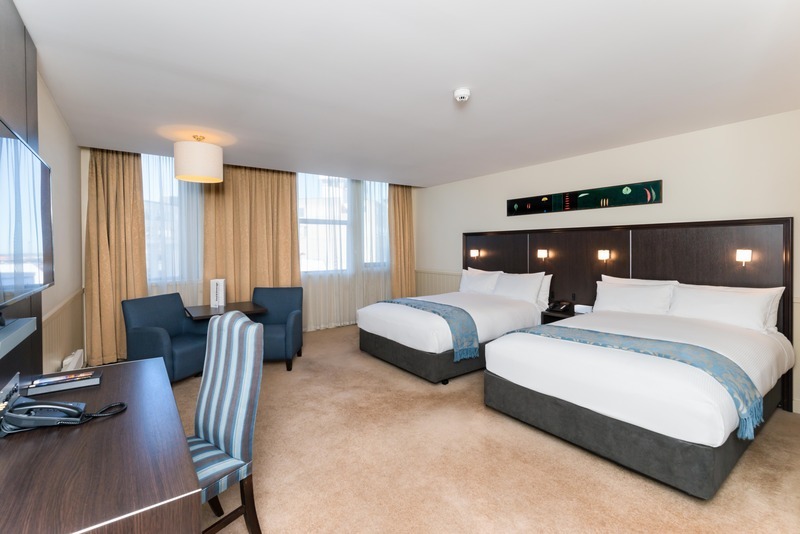 I was only on a brief overnight stay but reception was efficient and helpful, room clean and comfortable and the breakfast great and plentiful. My room was in the new wing of the hotel which is part of the casino. No real noise problems tho. Hotel is in the main street of Dunedin and everything is close by. i first stayed at the southern croos hotel in 1973 and many times since. this time i stayed in a room i stayed in in 1973 which has been up graded of course. the "new" rooms are part of the hotel but also part of the casino. my room was big and comfortable and clean. hotel staff were helpful and friendly and room service dinner was prompt and tasty. 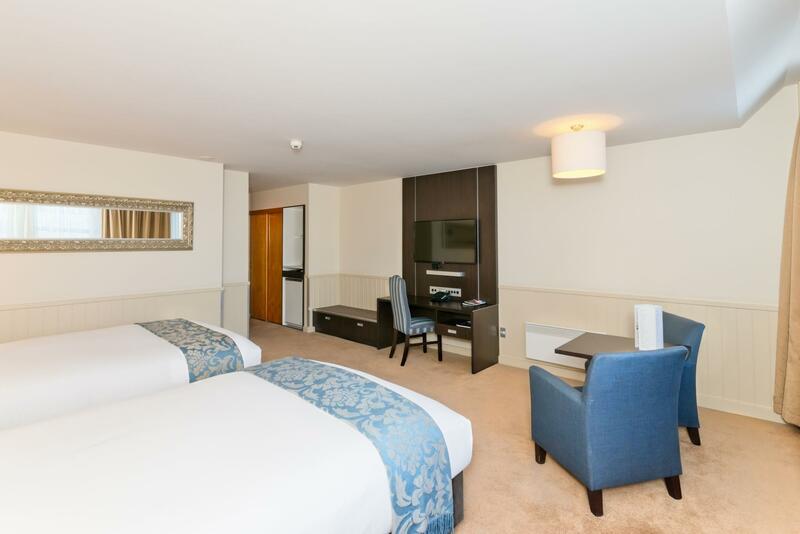 the hotel is situated conveniently with only a short walk to the octagon. travelled with a 14 month old and the first room given to us didn't really have much space once a cot was put in. the front desk were very helpful in showing us two other rooms that they thought might be more appropriate on space and we ended up in a twin bed corner room with plenty of space to include a baby cot. 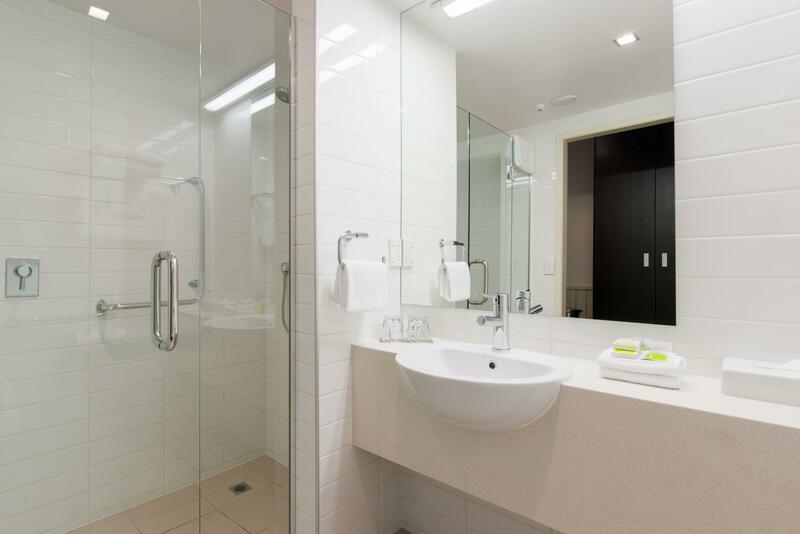 the bathrooms are a little small with small sink basins but clean and modern. overall we had a good stay and is good value for money and we would stay there again. very well located in the city, room was clean, well prepared and spacious. personally for us the bed was bit too soft, we requested for change. the staff happipy chnaged the bed to suit our requirement. i appreciate the efforts of the service staff to fix our bed. i am not sure how to rate parking. we paid fpr parking. Nice room with a very comfy bed. Shower over bathtub is a bit of a disadvantage to older people though. The hotel had good facilities as in a bar, restaurant and cafe as well as being located in the same area as the Casino. This was a great hotel with good service and comfortable beds that you just sink into. The only problem was trying to fill up the kettle from the bathroom sink - only just fits under the tap. The location is quiet but near enough to the high st, railway station and the Cadbury factory to walk. Would definitely book this hotel again. We stayed two nights and had the best nights sleep we had in NZ - the bed is sooo comfy with soft pillows. The hotel staff were friendly and polite and the hotel was far enough from the centre that it was quiet. Would definitely stay again.